This project explored the institutional barriers and opportunities in achieving convergence of climate change adaptation (CCA) and disaster risk reduction (DRR), in the context of development, poverty and vulnerability reduction. It did this by applying the Climate Smart Disaster Risk Management (CSDRM) approach as a process through which selected Indian institutions at varying scales examined their institutional constraints towards achieving integration of CCA and DRR, and identified how such barriers can be overcome by discovering news ways of working. The Climate Smart Disaster Risk Management (CSDRM) approach has been previously developed through a consortium including IDS, Plan International and Christian Aid, working in ten Asian and African countries, including India. There is widespread interest in the approach, and the project contributed to demonstrating its potential effectiveness. NGOs (Inter-cooperation and AIDMI and a local NGO called SWAD in Odisha) operating at local level in these States. A particular interest, given the focus on Odisha and Bihar which are very vulnerable to cyclones, was how CSDRM could be used to improve the effectiveness of national and state guidelines for managing this particular hazard. (Read a summary of the conclusions in a Project Working Paper). In December 2013 a project workshop was organised in Delhi with the Vice-Chair of the National Disaster Management Authority where the specific issues related to the integrated approach to cyclone management were discussed. (See the resulting Policy Brief). To understand effective integration, two important areas thought to act as barriers were be analyzed: the mismatched priorities of DRR institutions and those of ordinary people in hazard prone areas (see Study Report); and the need for diversified livelihoods as a means to reduce climate dependency and increase resilience (see Study Report). The general outcome was enhanced capacity of the relevant institutions to understand the relations between work on DRR, climate change and development. Read the Final Project Report of the project to learn more about the approach, and the results achieved. A Special Edition of ‘southasiadisasters.net’ publication was produced on the CSDRM approach. This short brief, Climate Smart Disaster Risk Management: In brief, explores how the Climate Smart Disaster Risk Management (CSDRM) approach provides a guide to strategic planning, programme development and policymaking and should be used to assess the effectiveness of existing DRM policies, projects and programmes in the context of a changing climate. This project and publication, Ability of Local Multi-Stakeholder Action to Catalyze Shifts in Program and Policy Environment towards Mainstreaming DRR CCA, studies the effectiveness of Local Multi-Stakeholder Action as an enabling factor for mainstreaming DRR- CCA in post disaster programs and ultimately in state and national policies. FEATURE: What have we learned about mainstreaming climate and disasters in Asia? Katie Dietrich from START reflects on the key lessons that have emerged from the CDKN/ START research programme on climate-smart disaster risk management in South Asia. 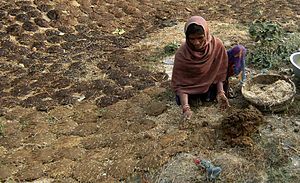 Mihir Bhatt, CDKN’s Senior Advisor in India, considers what we can learn about resilience from CDKN’s South Asia research programme. Sumana Bhattacharya, ICSD, India looks at how the disconnect between disaster management and climate change adaptation is posing a risk for development in India.